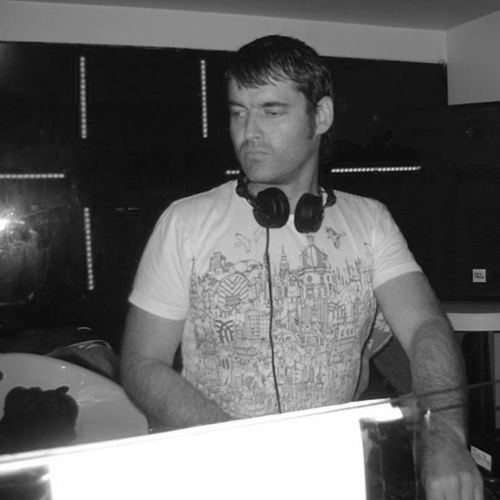 Zuni aka James Barbour has been immersed in the Edinburgh clubbing scene since the mid 90’s, honing his impeccable turntable skills, spinning the most futuristic music around …………… whilst all the time clubbing, clubbing, clubbing day and night, living and breathing the music he loves. Mission techno started for Zuni after attending an illegal rave at 14yo. Weekly visits ensued to a somewhat cheesy rave club with acts to match. A friend then took him to the legendary Pure club. Upon exiting, the sudden realisation of not knowing what just happened hit him like a brick. Something profound had occurred which needed to be explored ……………… cheesy rave club visitations ended abruptly. Soon after a friend introduced him to turntabalism, he caught the bug and began practicing every chance he got. He started putting on small house parties …… which became big house parties (decor and lighting included). Here the idea was hatched to run a techno club night. Under the alias Zuni, he ran Under the Influence (UTI) in Edinburgh with his co-resident randomDisco for six years. A club focused on diverse and forward thinking techno, booking guests including Acid Junkies, James Ruskin, Jay Denham, Damon Wild, Jerome Hill and many local talented artists. 2002 seen him set up UTI Records releasing a couple of stunning 12”s from artists including Cymbol, Acid Junkies and Rob Stow. Both releases became big successes, played out by many of techno’s top artists. A second imprint Injun Ears, initially for debuting his own material was also launched. His inaugural release featured a Stephen Brown remix. Terrace, Jamie Ball and Ryan Dunnett also made appearances on the label. Another string was recently added to his bow by launching the label Tribal Waves Recordings, an open minded platform for electronic music across the techno spectrum, with releases showcasing amazing artists and outstanding remixes. Zuni recently got to remix ‘Ambulance’ by Armani.